What's New: Clarins, Murad, Too Faced and Make Up For Ever | Top Beauty Blog in the Philippines covering Makeup Reviews, Swatches, Skincare and More! An innovative lip serum formula that supports natural collagen and microcirculation for a fuller, more youthful lips, an undetectable contour duo for easy, natural, and traceless highlighting and contouring, a luxurious serum for the look of perfectly defined, V-shaped facial features and a palette with three lightweight, finishing face powders that mimic the effects of photo filters by using light-fragmenting technology to brighten, bronze, and illuminate the skin — here are some of the latest and greatest beauty products that have just arrived in the market. 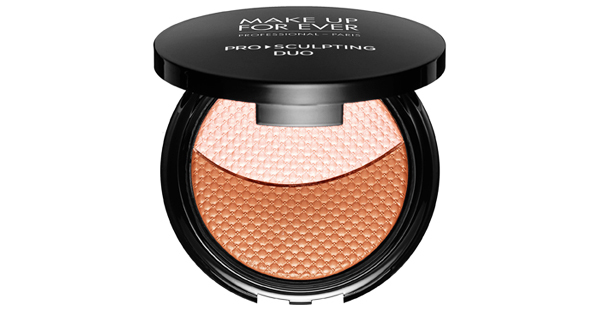 Make Up For Ever Pro Sculpting Duo - Highlighting and contouring instantly transforms facial features for a more balanced and proportionate face shape. This weightless, innovative gel-powder is comfortable to the touch and blends seamlessly for traceless highlighting and contouring without any sign of makeup. Undetectable and totally natural, it helps you master the art of light and shadow to reveal your most naturally sculpted look. 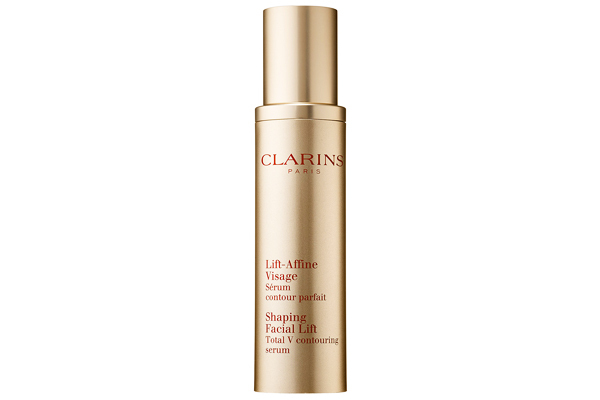 Clarins Shaping Facial Lift Total V Contouring Serum - Clarins' V Contouring Complex contains three powerful plant extracts — guarana, zerumbet ginger, and kaki — that refine facial contours, define cheekbones, and visibly lift jawline. It delivers complete facial contouring performance for women of all skin types and tones. 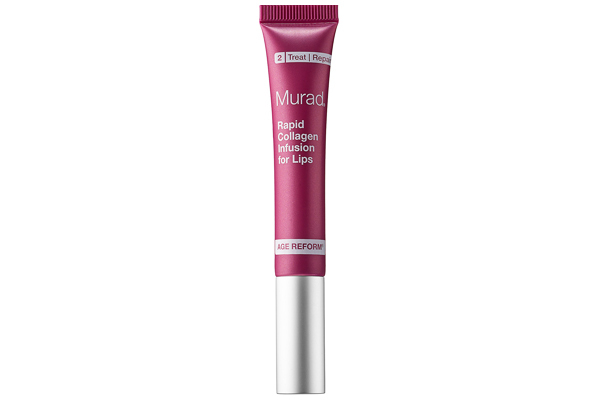 Murad Rapid Collagen Infusion For Lips - This ground-breaking lip formula infuses lips with collagen amino acids to help reduce the appearance of vertical lip lines and wrinkles for a plumper, fuller, and more youthful appearance. It promotes healthy, natural collagen and microcirculation, instantly smoothing and softening the lips and entire lip area. This soothing serum does not contain color or shine, and builds the look of lip volume without aggressive exfoliation or irritation. Too Faced #Tfnofilter Selfie Powders - Go filter flawless wherever you go with these portable, weightless finishing powders. Each one instantly brightens up your face: Sunrise provides diffused warmth, Totally Toasted bronzes with a smoothing glow, and Moon River brings a soft, ethereal glow to the skin. Formulated with Liquiplush Technology, they’re a unique powder-cream hybrid powder that are seamless to apply and leave the velvety texture of a cream for a flawless appearance. Get photo ready when you wear this powder alone or blended together for a customized, photo filter finish. PS: What do you guys think of Beauty Editer's brand new look?! Is it a YAY or a NAY? Let me know your thoights using the comment section below. Que interesante me encantan los productos! Does the Murad Rapid works? I'm very interested in this product! 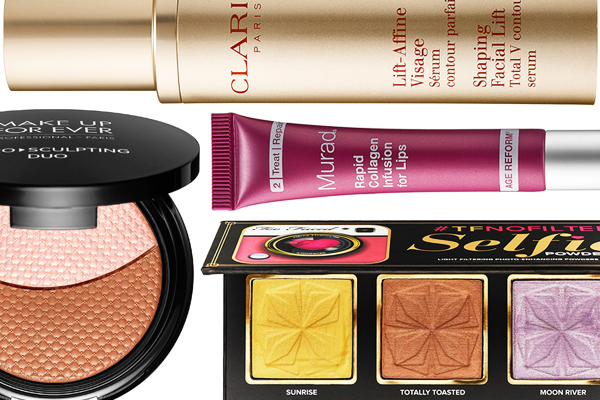 I have discovered Clarins not so long ago and I have to say it... I love products Clarin's offers. I'm not so sure about that palette. I like this look. Also a huge fan of Make Up Forever products. A must try for me. Thanks for sharing this with me. I'd love to try the lip infusion! I'm in love with the palette! Thanks for sharing, now I want to try this product from Clarins! I love beauty blogs. Thanks for your great products reviews. This set seems nice.